Increase time under tension and get more out of each rep by adding an ascending resistance throughout your range of motion. 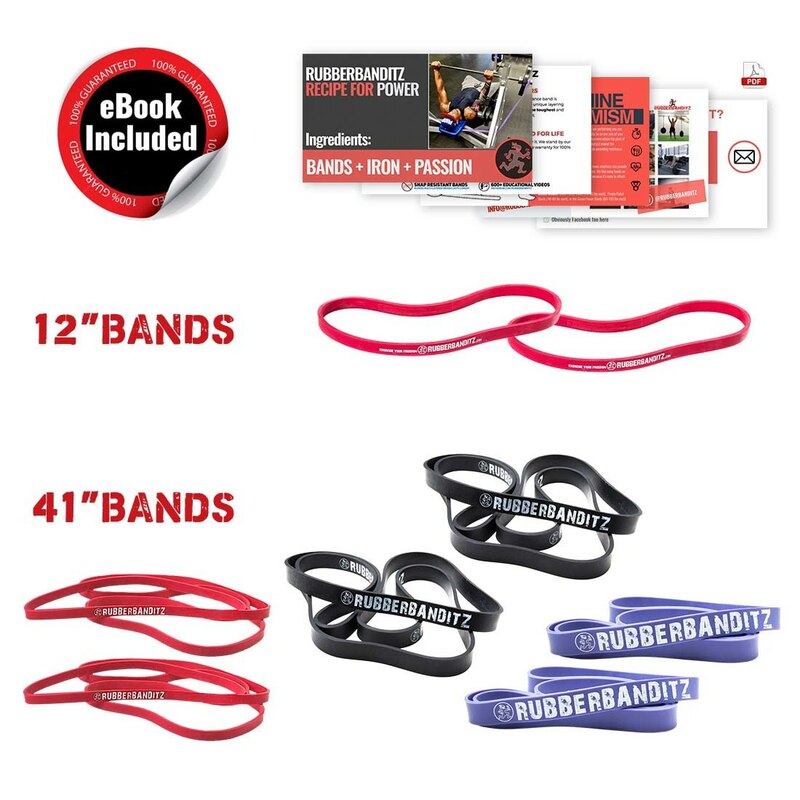 This comprehensive powerlifting strength band series equips you with an array of tension bands to scale any workout from light to max resistance. 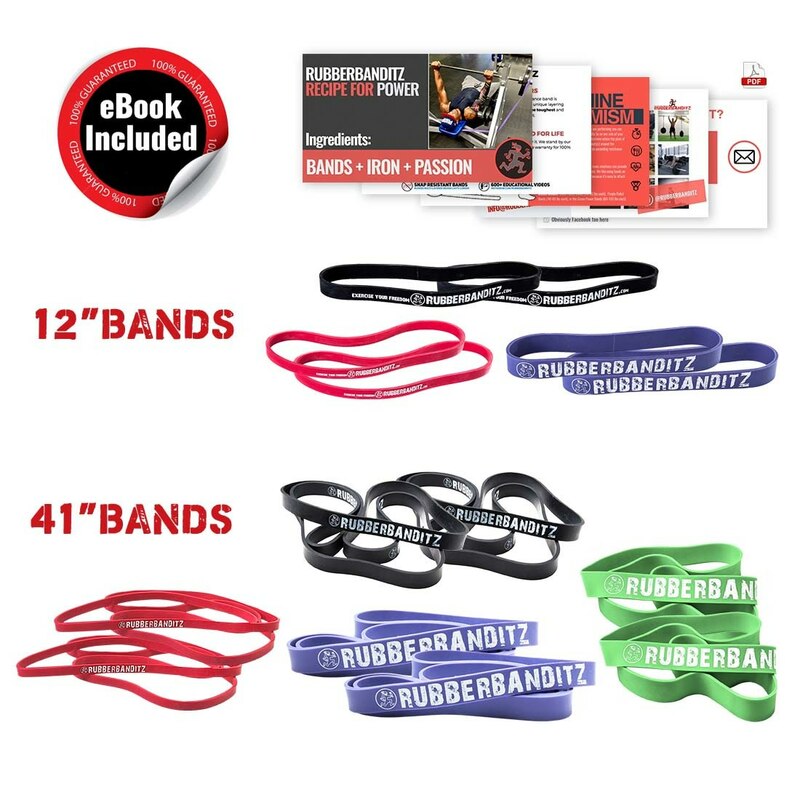 Mix and match your bands to calibrate the amount of resistance needed for each set, drop sets, and/or pyramid. 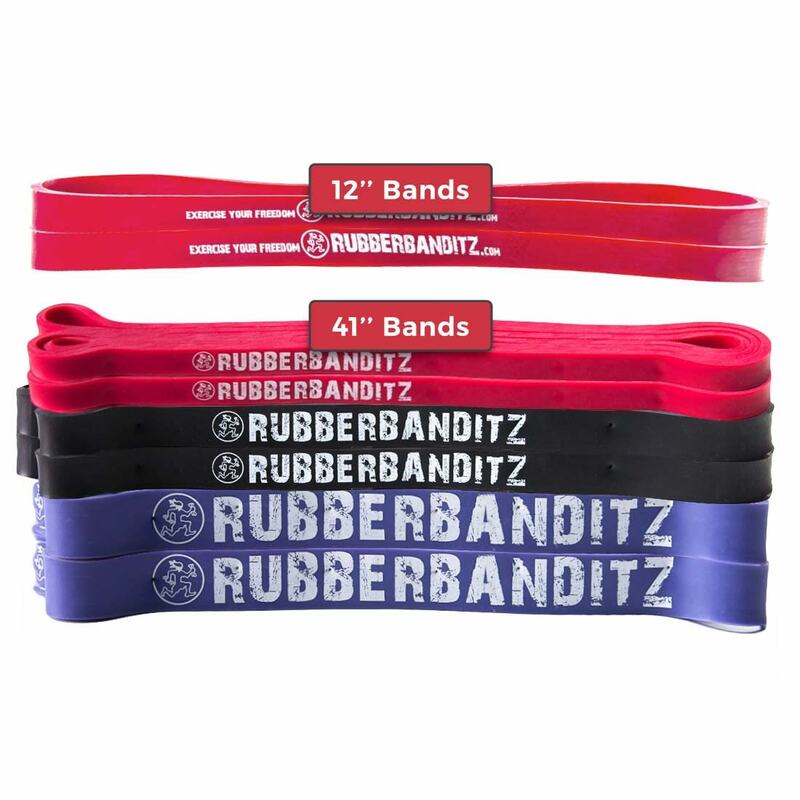 It's time to workout smarter and break through plateaus with weight lifting bands. How are our powerlifting resistance band sets different? 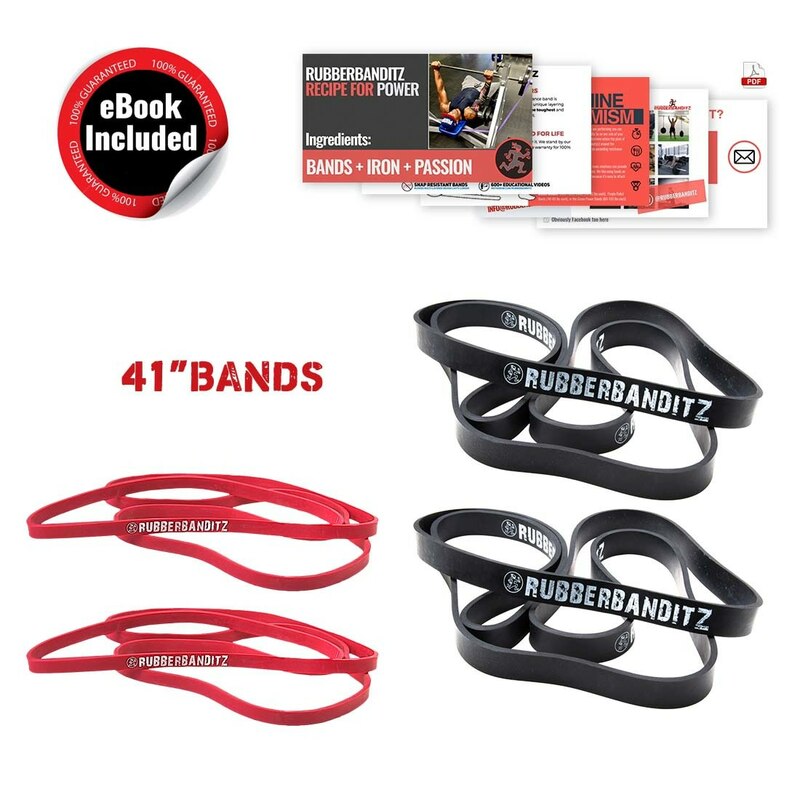 Unlike most bands, which are made in a large factory and cast as a solid piece of rubber, our exercise resistance bands are made of premium Sri Lankan latex and crafted through a robust multi-layering process, like the way a roll of tape is wound up. Because the layering property helps keep you safe. 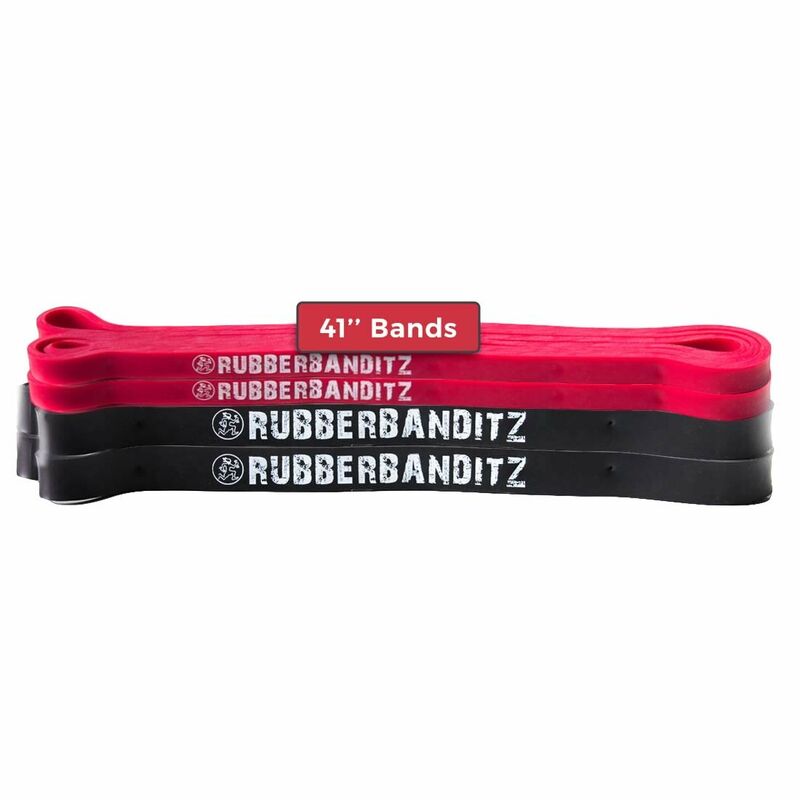 Each band is can stretch 2.5 times its resting length. 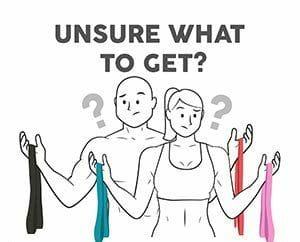 This means that they a) stretch further b) last longer c) give warning as they wear out by unpeeling instead of snapping on impact. For this reason, we offer a lifetime warranty on all of our equipment. If at any point you are unsatisfied just send us back your band(s) and we'll refund or replace them with no questions asked. 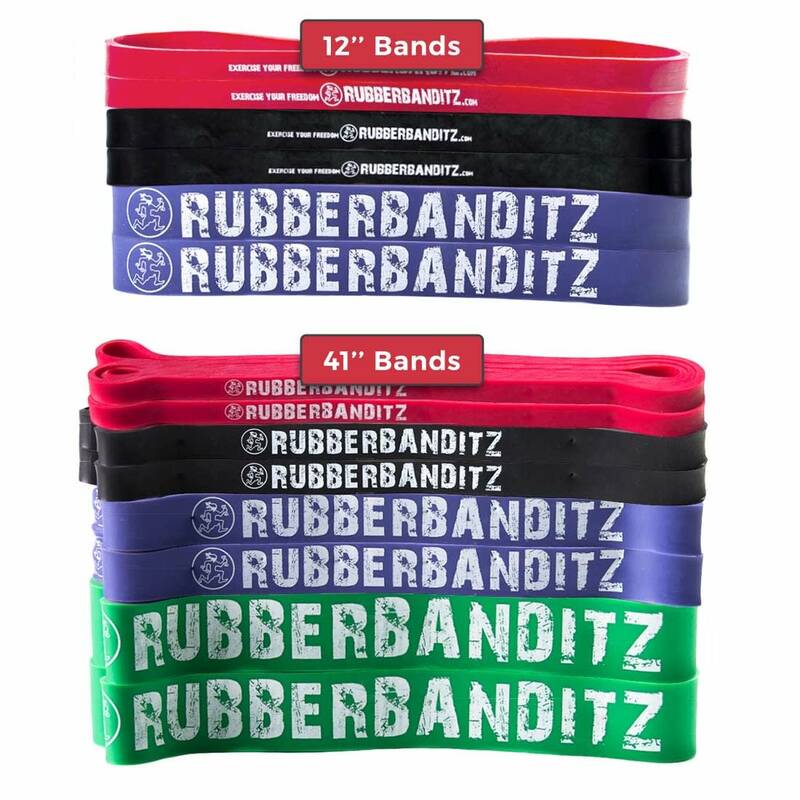 Each band is 41" [104 cm] length and is made of natural latex rubber that is 99% free of soluble proteins (latex allergens).